This ring features a sparkling White Topaz gemstone. 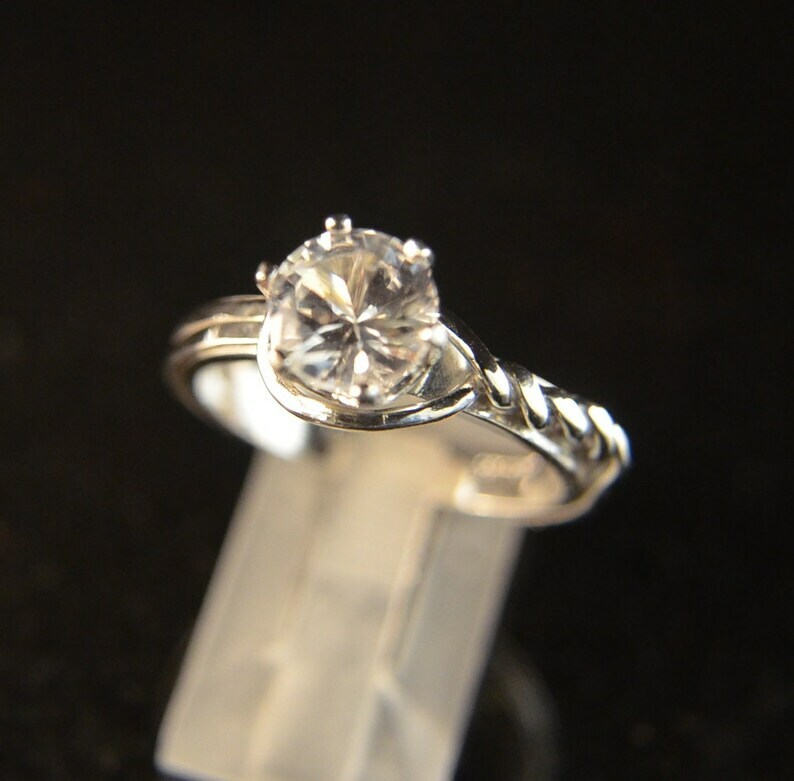 White Topaz is a good substitution for a diamond because it is a nice hard stone with good sparkle. The clear gem will go with everything. This one is cut into a 7mm round shape and is 1.6 carats of twinkling gem. Timeless! The Sterling Silver band is handmade. I feel that this one has a nautical theme as the design reminds me of a bowline knot you would use on a boat. A loop of silver circles the stone then elegantly twists itself down one side of the band. Soon the wires straighten out and march side by side around the band coming to rest tucked under the loop. Over all this ring is about 3mm wide except near the Topaz where it is about 7mm wide. Life is too short to wear ordinary jewelry!